Many of us don’t think about backing up the data on our computers or phones until it’s too late. A friend of mine, who was preparing for her doctorate final exams, lost an entire year of work when her laptop died. She even mailed the laptop to a company that tried to restore the data for several hundred dollars. In the end, she was only able to recover a bit of it. If only she’d had a backup, she would have saved so much time, money, and stress. Find out how to win your own copy of Acronis True Image 2017... and an iPad Pro! I can’t even imagine the sense of loss I would feel if all the photographs of our family travels were gone forever. Or if I had to re-build my Facebook business page from scratch. Or if the book I’ve been working on for years disappeared. Every touchstone moment of our lives seems to be captured digitally, and it’s easy to forget that they can be lost if we don’t take steps to prevent it. The truth is: there’s no excuse for not backing up your data, especially if you run your own business online. At some point, your hard drive probably will fail, or you will accidentally erase something important. Maybe you’ve even experienced this already. When the inevitable happens to me, instead of a stressful catastrophe, I want to be able to simply restore my backup. My main message, is this: If you aren’t backing up your data, you simply MUST start doing it. And Acronis True Image 2017 is a great solution. True Image works on Mac and Windows. You can back up your operating system, programs, settings, files, boot information, external drives, NAS devices, and network shares, easily. You can also back up Facebook and phones and tablets (iPhone, iPad and Android devices). You can schedule backups and even remotely run a backup for other people in your family or business anywhere in the world. Now, you might be thinking—why do you need a program like True Image when you have Mac’s Time Machine or Windows Backup, which are free? 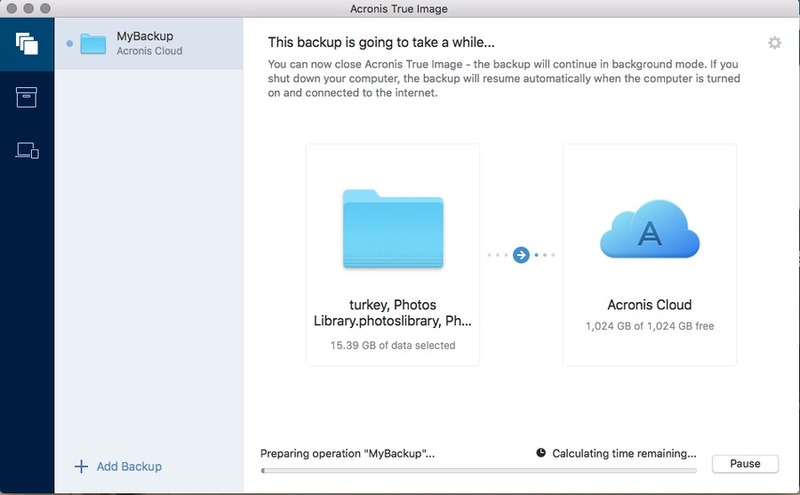 Well, True Image allows you to create a backup on an external device, on your computer, on their cloud, or all of these. This flexibility allows you to take advantages of each of these options. Cloud backup: This ensures your data is safe even if your laptop is destroyed or stolen. You can access the data anytime, anywhere. Plus, files can be backed up in the background, automatically and continuously. Back up to an external drive: This allows you to access your data without an internet connection, however, it doesn’t protect you if the drive is stolen or damaged. I think the biggest advantage to this option is that the backup is completed quicker than a backup to the cloud, which relies on internet speed. Doing both is the safest option. True Image’s “Dual Protection” means you can back up and recover a complete image of your computer to and from external drives in addition to the cloud. Personally, since we’re frequently nomadic, I don’t want to carry around a portable drive--so backing up on the cloud is ideal for us. And have you ever thought about backing up your Facebook? I hadn’t, but True Image makes a decent argument for it. If your account is hacked, you could lose your images, friend lists, and all the links you’ve ever posted. And if you manage a Facebook page for your business or employer, the loss would be even greater. Never want to lose all your valuable travel photos? True Image creates a full backup of your system (or you can select certain folders and files) and you can access it anywhere, including your phone. This is genius in case your laptop is stolen, lost, or irreparably damaged. It also makes accessing all your digital photos and files convenient and seamless across your devices. After the easy installation, you select which folders you want to back up. It was surprisingly fast; True Image boasts the fastest backup software on the market at backing up to local drives. It’s also quick when searching within your existing backups. It also features more complex backup options, like disk cloning, rescue-media creation, and more. Three are three ways to purchase True Image. A 2-year subscription, which includes 50 GB cloud storage. 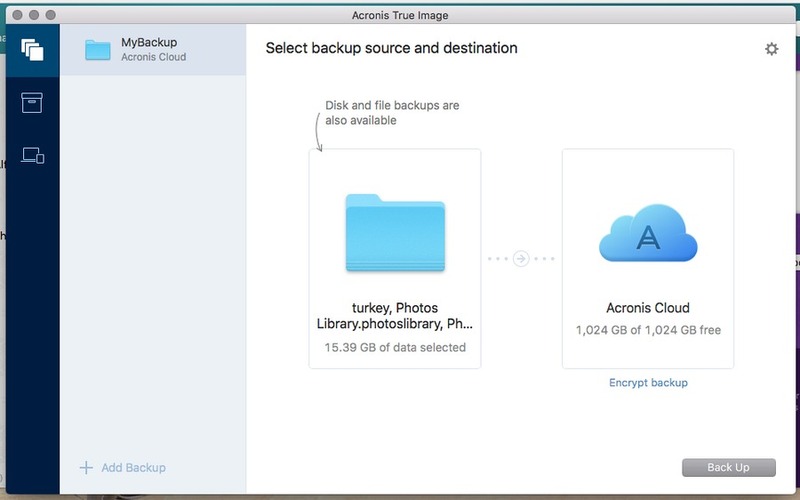 Acronis True Image 2017 has a clean, simple interface with many tools and options for keeping your data safe. Acronis is a trusted company, the software is fast (they claim it’s the fastest), and the interface is easy to use. 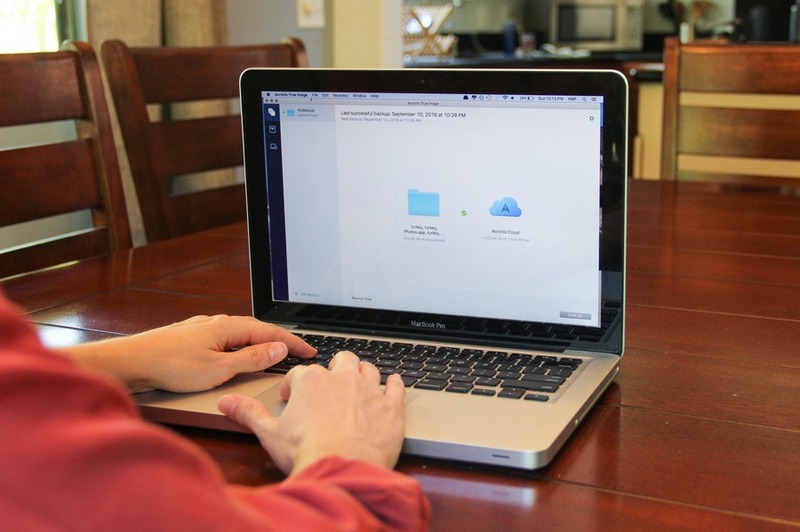 Where True Image excels over other backup options is the ability to back up your non-laptop devices, and to be able to back up to the cloud as well as to an external device. And the real value of this backup software?... well, you’ll only know when disaster strikes. Is there any option of storing my pics..on internet frm where I can download the pics whenever I needed..